Wearing the Abisko on a traverse of Penguin Ridge, in Alaska’s Chugach State Park. Photo: Brett Frazer. The Abisko Trail T-Shirt has a tall, trim, athletic cut and is slightly longer in the back. The shoulder seams are on the chest and upper back rather than the top of the shoulder, which makes the shirt more comfortable with a backpack. Photographing dahl sheep on Rainbow Peak. Photo: Tony Lewkowski. Out of the box, the Abisko has a light, smooth, soft feel. The fabric pilled quite a bit after a single wash, but it remains very soft and comfortable. From spring to late summer 2018 the Abisko was my go-to for sunny-weather hiking and bike rides. It breathes well during aerobic exercise and the fabric is silky-soft and very comfortable. The cut is long enough for biking or XC skiing, and the trim fit and light weight provide excellent range of motion. On hot, dry Alaska midsummer days this shirt felt great. The Abisko during a sunny ascent up the east ridge of Bird’s Eye Peak. Photo: Brett Frazer. But my good first impressions were challenged when I wore the Abisko on a drizzly August traverse through the Talkeetna Mountains. Once the shirt got damp I noticed that it refused to dry and quickly cooled me down. Even after adding an ultra heavyweight Arc’teryx mid-layer (my go-to piece for midwinter hikes) over the Abisko I found myself shivering. What exactly was this base layer made from again? Crossing Hatchethead Pass, in the Talkeetna Mountains of Alaska. Photo: Tony Lewkowski. Cotton’s propensity to absorb water and chill a wearer is so undesirable in outdoor clothing that it’s prompted the phrase “cotton kills.” “Lyocell kills” doesn’t really have the same ring, but in my experience it might be equally true. Just about any textile will keep a wearer warm when it’s dry. But for most backpackers, the most important property of a technical base layer is that it remain warm in all conditions, especially when wet. Though the Abisko shines in the sun, it is a liability in wet or rainy conditions. Fjällräven’s decision to market an absorbent, cold-when-wet base layer for general-purpose “trekking” in subarctic wilderness is dishonest and arguably a little irresponsible. Backpackers in hot climates (the American Southwest, for example) often carry a cotton t-shirt so that they can wet the shirt and keep cool. The Abisko t-shirt would work well for this purpose. Its attractive cut and comfortable fabric also make it a good choice for casual front-country wear in good weather. But the Abisko Trail t-shirt doesn’t really belong far from most trailheads. 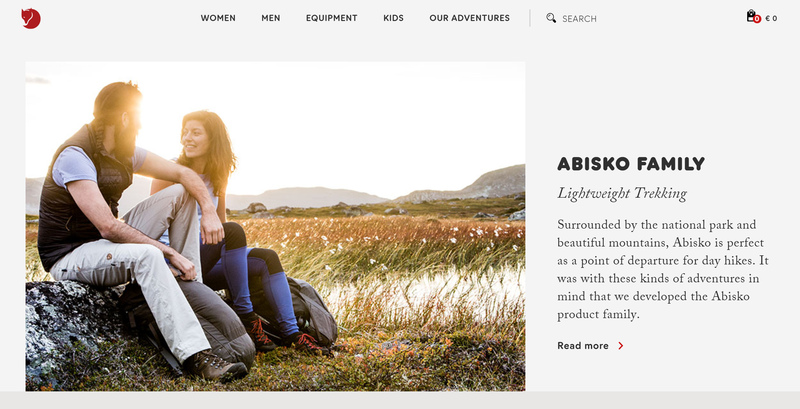 Outdoorspeople in potentially cool to cold-weather climates (such as Sweden’s, ironically) should steer clear of the Abisko and choose base layers made of full synthetics or synthetic-wool blends instead.